A soft liner is a layer of soft, pliable material that is fitted between the surface of your denture and your gums, soft liners can be used when creating new dentures in Chicago, or retrofitted into existing dentures. Permanent soft liners provide comfort and relief for individuals with receded and flattened gum tissues that don’t respond well to the stress of dentures. They may also be a suitable solution for patients with chronically sore gum tissues or gums with sharp bony areas. Your holistic dentist in Chicago may recommend this treatment to improve your quality of life as a denture-wearer. Soft liners require regular follow-up visits with Kenilworth Dental Associates to examine the fit of your dentures and general oral health. 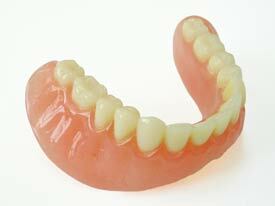 They can also see if you are in need of denture repair in Chicago. Schedule your appointment today and get back to smiling with confidence in no time.